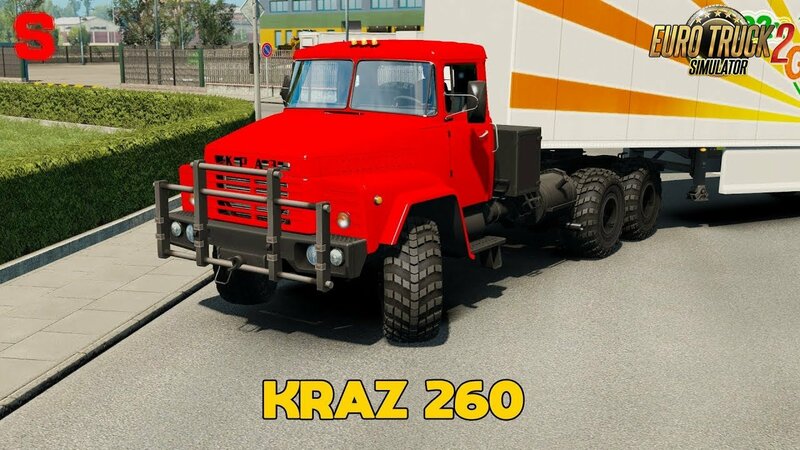 Gameplay video with KrAZ 260 (1.32.x) for Euro Truck Simulator 2 game. 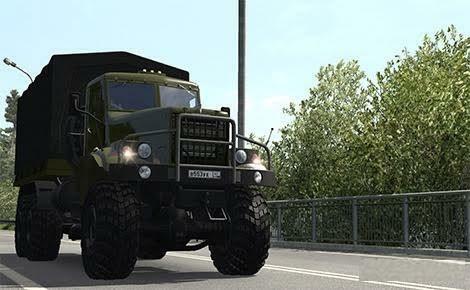 - not replace anything, is bought in dealer Volvo. 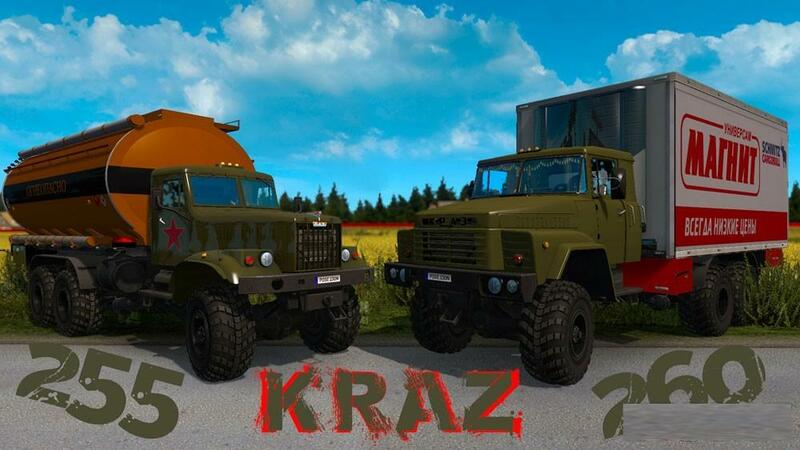 - 2 chassis: 6x6 and 6x6 tandem. - There are accessories in the cockpit. 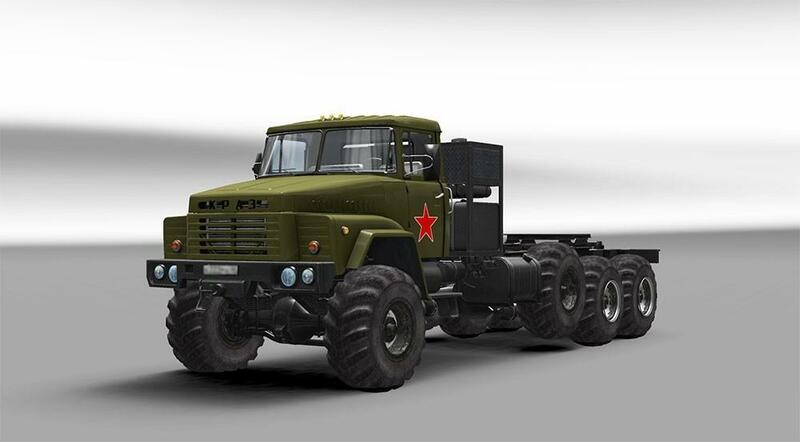 - Its engines with tuned torque curves. - Standard and high-speed gearboxes. - Correction of illumination in the cabin from Bo Ezduk. - Added spiral physical cables. - There is no support for the advanced hitch. 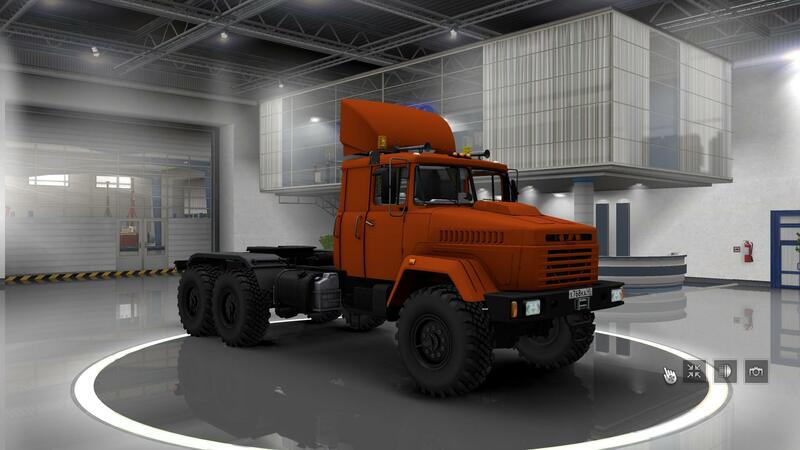 - adapted for Ets2 patch 1.32.x.